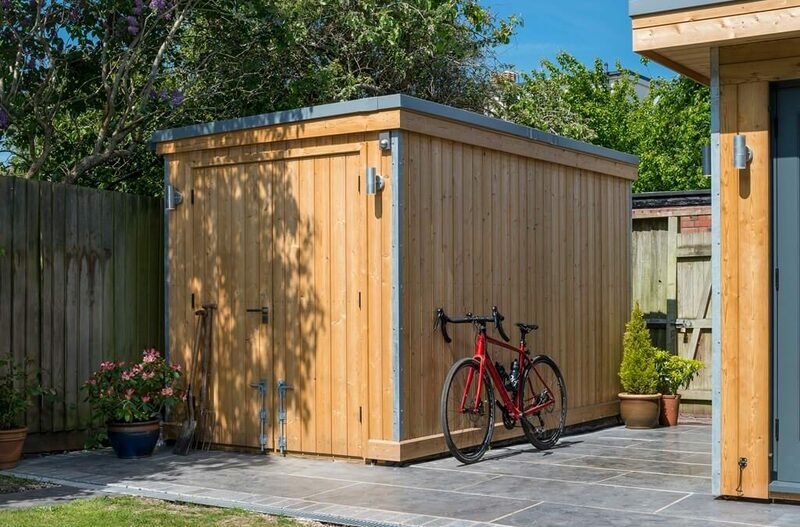 Upgrade your rickety B&Q shed to something worth it’s valuable space. Building a garden room at the bottom of the garden often means sacrificing the dilapidated shed where tools are being propped up by years of dusty cobwebs. You’ll still need somewhere to store all the gardenalia, so why not incorporate it into the plans for your home renovations!? No matter how often we purge our belongings in an effort to achieve minimalistic bliss, we will always have piles of ‘useful’ items for once-a-year applications. Therefore, sufficient storage is a must and shouldn’t be an afterthought. Some of the best designs in our homes have thought about realistic functionality from the very start and make it a part of the finished beauty. We all know that behind the camera in magazine shots are piles of ‘real-life’ shoved into corners and behind cupboard doors. Let’s not kid ourselves that they will disappear by themselves any time soon! 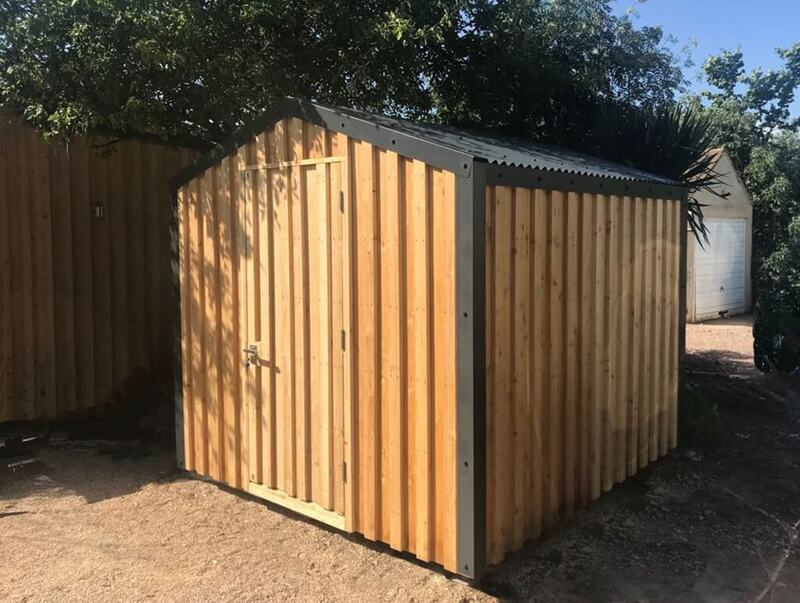 There are much better solutions out there for storing the family bikes, scooters, plant pots, tools, camping equipment, lawnmower, half-filled paint pots etc etc, than the famous DIY store sheds that occupy hundreds of thousands of our garden corners. If you are planning a re-vamp of your garden, or even thinking of installing a garden room, consider incorporating a matching shed or garden cupboard into the scheme from the start. Garden storage doesn’t have to mean a big and bulky shed if all you need to store is a hose pipe and some other odds and ends. One of our clients commissioned us to design and build an outdoor cupboard to house his electrics and outdoor tap. This blended in perfectly with the wall of his MOSSpod extension as we clad it in the same Larch boarding. Another client found that once we had built a Mini MOSSpod gym in his garden it made an existing ugly concrete shed stand out like a sore thumb. So, we knocked that down and built him a cute Mini ‘Mini MOSSpod’ in the same matching materials and colour palette, making the whole garden scheme read as one harmonious design. Consider the additional benefits a stylish shed could bring to your garden. 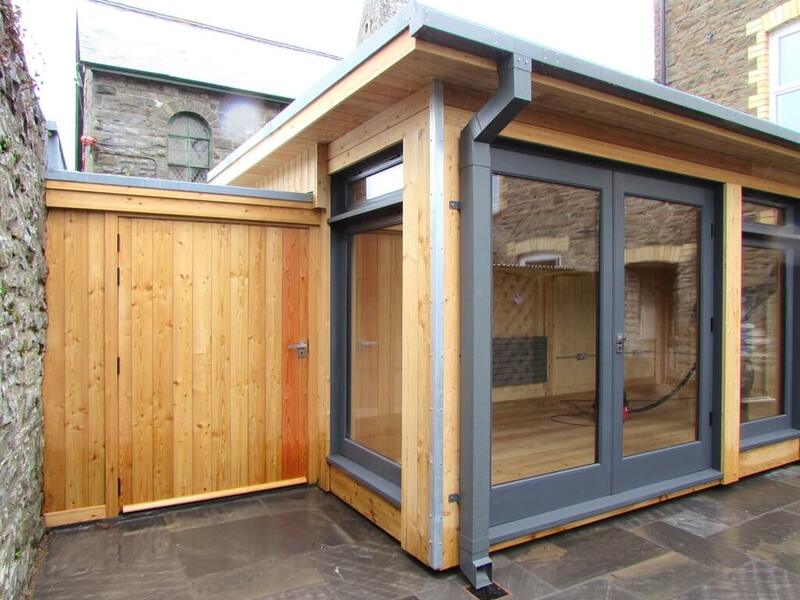 One client requested a patio to be created between their new office MOSSpod and matching shed, resulting in a fab courtyard space lit either side by outdoor lighting on the larch walls of both the office and shed. The effect is a gorgeous warmly lit private space at the bottom of the garden, perfect for family barbeques sheltered from the weather. We design each storage solution to suit individual requirements and the landscape design it sits within. We have had recent requests for green roofs and walls that make the most of all surface areas, especially in small urban gardens. Watch this space! If you are unsure about what you want to incorporate, or equally, if you know exactly what you want from your garden re-vamp, let us know and we’ll get some ideas flowing!